I am a self confessed Casson Family tragic. I love them, and after reading Forever Rose, I was actually quite sad that I wouldn't get to visit this crazy lovely family anymore. Imagine my joy on hearing that a new book was coming out, and while it doesn't carry on from where Forever Rose left off, it does take us right back to the beginning. If you haven't read the Casson family stories, I cannot recommend them highly enough. They are funny, quirky and heartfelt, they made me laugh out loud as well as needing to have the tissues on hand to mop up the tears. The Casson family consists of the Mother: Eve, Father: Bill and children, Caddy, Indigo, Saffy and Rose. Their family dynamic is quite unique, Bill spends his time in London, he even lives there the majority of the time and Eve is an artist, who spends a lot of time down in her studio at the bottom of the garden and very little time doing 'normal' motherly things. Each of the books focuses on a particular family member as they make their way in life. This book takes us back to the very beginning, when Caddy is 12 and Indigo and Saffy are about 8 and 6. It's the story about how Rose came into the world and turned the family upside down, for once Bill has to be in charge of the household, and it's not quite what he expected! 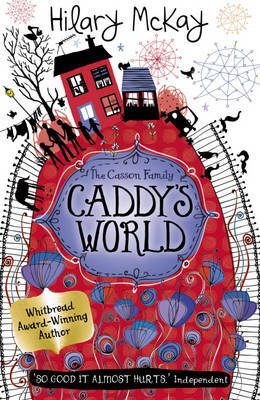 It's also a time of change for Caddy, and her three best friends Ali, Beth and Ruby. The girls are all growing up, on the verge of becoming teenagers, and each of them share their different fears, concerns and struggles. There are a lot of laugh out loud moments in this book, Indigo and Saffy are a hysterical duo, they really do get up to some trouble, and it's these two that Bill finds the most trying. 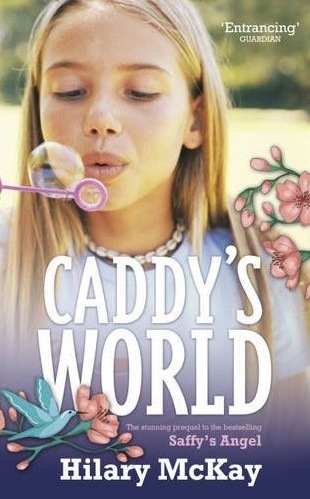 What I really like was that this story finishes with a jump to a few years later when Caddy is about to take her very first driving lesson, this is the same time as we first meet the family in Saffy's Angel, with an instructor who ends up being much more than that! The cover image above is for the new edition published in March 2013, but there was also a hardback edition (see pic to the right) that didn't really seem to appeal to many readers. Which do you prefer?